In 1968, at the height of the Civil Rights Movement, hundreds of black sanitation workers in Memphis went on strike. Famously, they carried signs reading, “I AM A MAN”. 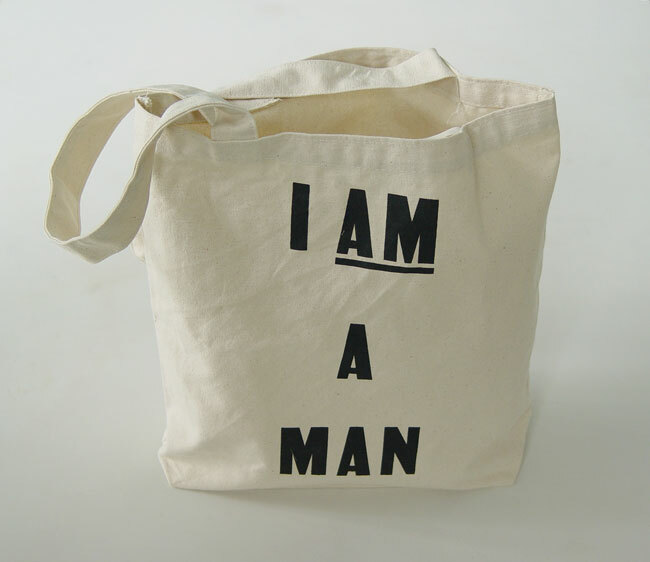 This statement “I AM A MAN” started out as an exasperated cry from an oppressed minority to be treated as human. The posters were carried by the workers on strike that drew Martin Luther King Jr. to Memphis, Tennessee the first week of April 1968. After King’s assassination later that week, the poster became a nationally recognized symbol of the struggle for equality and humanity. Twenty years later, Ligon replicated those signs in his painting Untitled, 1988. Working through the legacy of the civil rights movement he has found his artistic voice: this was one of Ligon’s earliest paintings to include appropriated text, an exploration that continues to this day.